This is the best time of the year to buy fruit and nut trees. New shipments of freshly dug plants have arrived, the best varieties are now available and trees are as cheap as they will be all year. But, can you really expect success if you plant a fruit or nut tree? Or, maybe a more accurate question -- are you willing to do the work required to insure production? And, most importantly, do you have a suitable location in which to plant? These questions need to be resolved BEFORE you make the purchase. Otherwise you will likely be disappointed, as well as waste a valuable resource --the grafted plant. For maximum production, fruit plants need at least 8 hours of full (where you could sunbathe) sunlight daily. If you moved to the country for beautiful live oak scenery and shade, don't expect fruit and nut trees to do well under those big foliaged beauties. Extremely shaded landscapes ARE NOT SUITABLE sites for fruit planting. The trees may survive but they won't be productive. Remember the sun is the source of all energy for plant growth. Green plants have the unique ability to take light energy, along with carbon dioxide from the air and water, and convert it into organic compounds through a complex process known as photosynthesis. So anything less than full sunlight will result in a reduced performance by the tree. Many times trees have adequate light when they are small but as they get larger they compete for not only sunlight but water and nutrients as well. Water is the mainstay of life for all organisms. Fruit plants are no exception. Water provides the turgor pressure for cells to expand and thus "grow". Established plants harvest water from the soil reservoir - the better the reservoir the better the plants will do - plus they use the water you provide. Water management is much more critical on poor soils than on deep soils. A good rule of thumb is one to two inches of water per week during the growing season. Since oxygen is needed in the soil in order for plants to take up the water, don't saturate the soil. Also, the best roots are in the top four to six inches of the soil because this is where the greatest oxygen levels are. The effective root zone on most plants is only about 24 to 32 inches deep and if the soils are shallower - then it is less. This means once the water goes below two feet - it is much harder for the plant to use. So the trick is not to let the water run longer in a spot but rather to wet more soil volume. The poorer the soil - the greater the volume of soil which needs to be wetted for maximum plant performance. Soil and drainage are important considerations. There is no question that soil is the number one factor that determines the success or failure of a planting if located in full sun. Some soils are so good that the trees grow in spite of what you do. The soil profile serves three main functions: holding the plant upright, a source of nutrients, and a water reservoir. Some soils are naturally high in fertility with a high water holding capacity. Fruit plants are naturally going to do much better in those areas than in poor soils. Fruit plants require well drained soil in order to grow and produce. Ideally you should have a minimum of 12 - 18 inches of soil; if you have less you may want to consider building a raised bed. Most fruit and nut species cannot tolerate excessive periods of "wet feet." 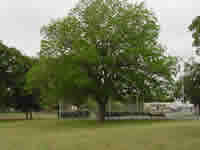 Fruit and nut trees planted in soil with poor soil drainage show reduced growth, pale green leaves, zinc rosette (on pecans), iron chlorosis, leaf abscission, and drought stress in most instances. These symptoms are brought about by the plants inability to pick up nutrients and water from the soil. For nutrients and water to enter the plant, oxygen must be adjacent to the root. If oxygen is not available in the soil, the plant will be unable to absorb essential nutrients necessary for growth. In some instances the plant will not be able to absorb water even while standing in water. To evaluate soil drainage, try digging a hole 32 inches deep and 8 inches in diameter. Fill it with 7 gallons of water. The hole should drain in less than 48 hours. If the hole is empty in 1 hour, your site has excellent internal drainage. There is very good internal drainage if it is empty in 8 hours. There is good internal drainage if it is empty in 24 hours and adequate internal drainage if empty in 48 hours. If at the end of 48 hours the hole still has any water, it will be extremely difficult to produce regular crops (especially pecans) in this soil. All fruit crops do best in soils with excellent soil drainage. Peaches and plums need very good soil drainage; apples, pears and grapes need good soil drainage; pecans, figs and persimmons can survive with adequate soil drainage. Weeds are serious competitors for both water and nutrients. It takes about 80 gallons of water to grow a pound of weeds. Performing a little weed control will eliminate the competition for water and greatly enhance tree growth. Try to keep the area around the tree weed-free to the dripline for the first 3 to 4 years of the life. Then it becomes less critical. Weed control will pay big dividends especially when the soil is only fair at best and when water and nutrient applications are erratic. Consider the time, labor, logistics and chemicals involved when you are deciding whether to grow fruits or nuts. Blackberries, figs, Japanese persimmons, plums, pomegranates and pears are considered to be low-maintenance. Grapes are intermediate depending on the variety, i.e., the seedless varieties require more pesticide applications in order to maintain plant health than the native-type varieties such as Champanel, Lomanto and Black Spanish. Productively speaking, the most cantankerous and hardest-to-care-for crops include peaches, apricots and pecans. Before planting pecans remember they are often sprayed commercially 7 times a year to produce quality nuts. It may be blasphemous to talk about the state tree of Texas in a demeaning fashion, but before you plant a pecan tree for use as a shade tree and/or a possible source of nuts, consider the following: What other tree has as many of those lovely, defoliating webworms as the pecan tree? What other tree can house as many aphids which can give your car a free and unsolicited wax job as the pecan tree? What other tree can sustain limb breakage, even without an ice storm, as often as a pecan tree? What other tree can produce a squirrel-inedible nut crop as often as the pecan tree? What other tree drops any more "trash" as often as a pecan tree? So it takes a serious commitment to grow pecans in the home landscape. If you expect a reliable, pest-free harvest of quality fruit, such as peaches, trees must be sprayed in January and then every 10 days with insecticide fungicide until seven days before harvest. This may involve as many as 10 applications. Otherwise you run the risk of severely worm-infested fruit which may even abort before harvest. Premature defoliation is also a possibility which will not enhance the beauty of your landscape. Also since these are fruit bearing plants, they will be messy. Fruit will fall off when young as well as when mature. It can create a nasty, smelly scene that can create an eyesore so be sure to select remote areas of your landscape to plant fruit. A peach or pear tree by the patio deck or pool is not a wise choice. Of course, if you are willing to take on the never-ending job of cleaning up the "mess", many fruit plants develop some pretty color in the fall. I can't over emphasize keeping the planting small. lf you do everything we suggest, i.e., take care of it with weed control, fertilizer, water and pest management, it will be a big tree in no time. Choose a very wide space - 25 to 30 feet between plants, practice immaculate weed control and prune heavily. By reducing the fruit crop load and tree foliage, the tree is demand for water and nutrients is also greatly reduced. The chance of success in marginal situation is much greater. It is far better to have one tree and take care of it immaculately than to have 10 trees and do things haphazardly. 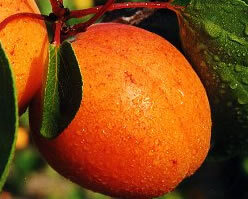 A single 5 to 6 year old peach tree can produce 2 bushes of fruit which is more than a family of 4 can consume. Couple this with 1 plum, 2 apples and 2 pear trees along with a few feet of blackberries and you'll be covered up with fruit. So use restraint and only plant what you can care for properly. A variety of plants in Texas experience fruit problems every year, from bearing no fruit at all to dropping immature fruit. There is also fruit injury which is the result of frost and subsequent cold temperatures. However, the weather can't be blamed for all fruit problems. All fruit plants require flower pollination in order to produce fruit. Pollination is the transfer of pollen from the male part of the flower (anther) to the female part (pistil) of the same flower or another flower of the same type. Gardeners, however, are more likely to be interested in the particular fruit as a food item, rather than as part of Mother Nature's scheme. Not all plants will set fruit when pollen is obtained from the same plant. Before fruit will form, pollen must come from a different plant of the same kind for cross pollination. The absence of the second pollinator is often why single trees in the garden flower heavily but never set a single fruit. Weather does have a bearing on flowering and fruit development, even with several pollen sources available. Windy or rainy weather during flowering often slows bee activity. High temperatures may also dry the female reproductive parts, which prevents pollen grain germination. Flowers with higher nectar content will often lure bees away from fruit plants that have lower nectar contents in their flowers. Overuse of insecticides during the flowering period will reduce the number of bees and the subsequent pollination of flowers. 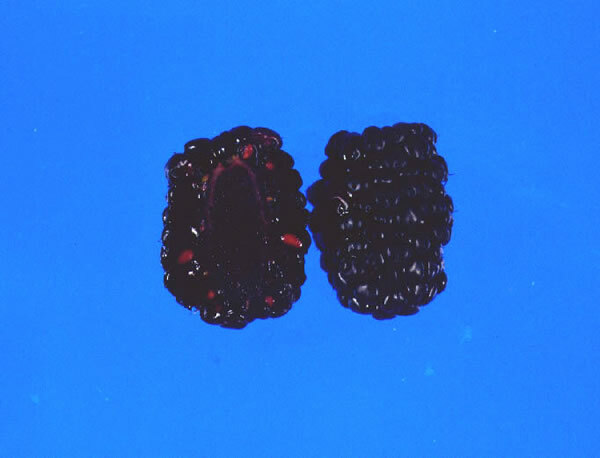 In cross pollination, the pollen of the selected varieties must be compatible. The flowering date of the pollen source must match the flowering date of the plant to be pollinated. If both varieties aren't flowering at the same time, no fruit will develop. Some varieties take longer to come to flowering age, but this is only a short-term concern that will correct itself in a few seasons. Cross pollination is essential for an adequate apple crop. Trees should be less than 100 feet apart to assure good pollen transfer. 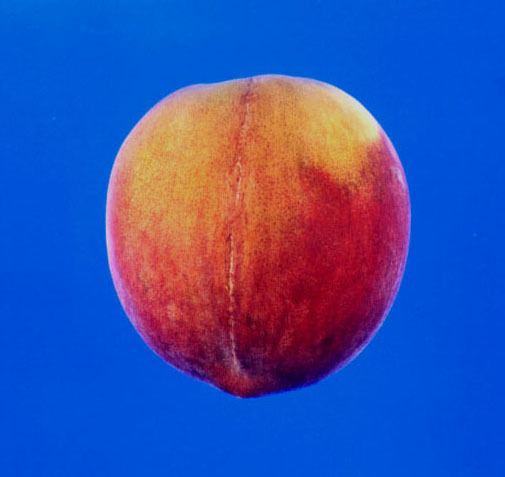 Plums are a stone fruit that also depend on cross pollination. About half the varieties are self-fruitful. To be on the safe side, a pollinator tree should be provided with a group of dependent trees. Pecans and black walnut trees are self-fertile, but their pollen is often not shed when the stigma of the pistil is receptive, so fruit may begin to form and then drop during the season. Pecans are monoecious, meaning they produce separate male and female flowers on the same tree. Some varieties develop the male flowers, called catkins, first and are termed protandrous. Other varieties produce the female nutlets first and are termed protogynous. Each type will cross-pollinate with the other. If you are planting two pecan trees, plant one of each pollination type. The two best varieties for the home landscape include Desirable which is protandrous and Sioux which is protogynous. Fruit drop can be a problem with Japanese persimmons due in part to pollination considerations and environmental stress. Separate male, female and/or perfect (both male and female) flowers can be produced on the same tree on current season's growth. Tane-nashi, Hachiya and Tamopan produce flowers which develop into excellent parthenocarpic (non-fertilized) fruit without pollination and without seeds. These varieties can, however, be pollinated by common persimmon or the Fuyu variety to produce fruit with seeds. 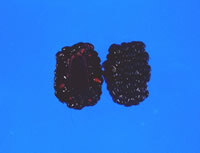 Fruit drop is common on parthenocarpic fruit without tree seeds. (Seeds produce chemical hormones which improve fruit retention.) Any environmental stress such as drought, waterlogged soils, extreme-heat, etc. can worsen this fruit drop problem. Thus, a thick layer of mulch over the root zone and regular, deep watering is recommended. Fruit trees such as nectarine, peach and quince should be able to produce adequate fruit crops alone. Additional trees will increase the fruit set and add that extra assurance of enough pollen for all the flowers. Pear trees are self-fruitful, but a second variety will also improve the fruit. However, improved fruit set is not always a desirable occurrence. Remember the broken pecan limbs caused by too many nuts? Remember the numerous, small fruit of peaches and pears because too much fruit set and not enough thinning of fruit when they were the size of a dime in the spring? Remember the alternate bearing (a heavy crop one year followed by a light-to-no-crop the next year) cycle of pears, pecans and satsumas. A light crop every year caused by inadequate pollination can prevent alternate bearing and eliminate the necessity of fruit thinning. Nearly all of the small fruits, berries and brambles are self-fruitful. Remember, all plants flower and bear fruit as long as the laws of nature are understood and met. When purchasing trees for spring planting, keep these principles of fruit and nut pollination in mind -it could avoid disappointment later.